Most of the Argentine raspberries are grown in Tucuman, Concordia and Corrientes and the Chilean raspberries are grown mostly grown in the Maule region. South America provides good supply during the months of the year other global locations are out of their peak growing seasons. Risks: The main risk for IQF Raspberries is defrosting. For quality assurance we recommend a temperature data logger is used. Packaging: 10kg bag in box, or boxes containing 4 bags of 2.5kg each. Shipping: Sea freight refer container. 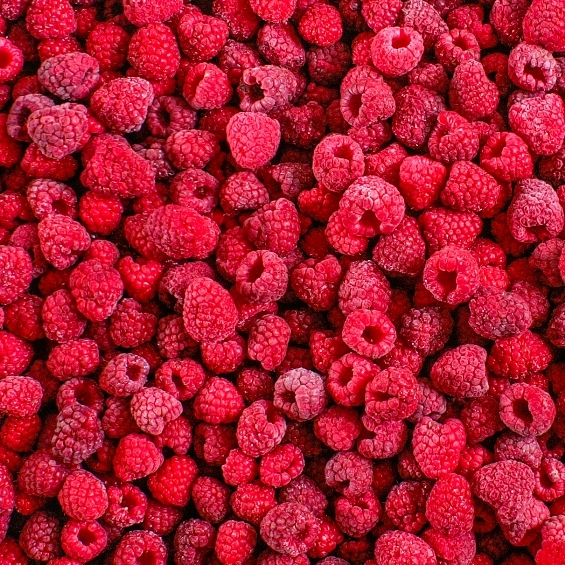 Appearance: Raspberries crumbled on small fruits during freezing and preparing. Loose fruits, without solid conglomerates, not icy, unsolid conglomerates admissible. Shelf life : 24 months from production date.